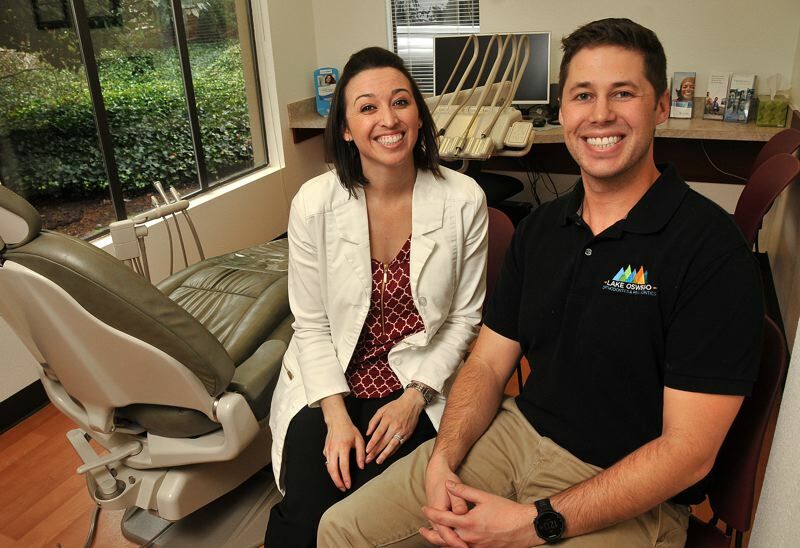 There are new bright smiles at Lake Oswego Orthodontics and Periodontics. Last August, Vanessa Peterson, DDS., MS; and Andrew Peterson, DMD, HS, purchased Lake Oswego Orthodontics from Sue-Chin Liu. Vanessa Peterson is a board certified orthodontist who specializes in braces and Invisalign for children and adults. She grew up in Rancho Cucamonga, California, and earned a bachelor's degree from Baylor University and her dental degree from Loma Linda School of Dentistry. She competed her residency in orthodontics at Oregon Health & Science University. Since graduation she has been practicing in the greater Portland area. Before transitioning to private practice, she served as chief orthodontic specialist at Kaiser Permanente. 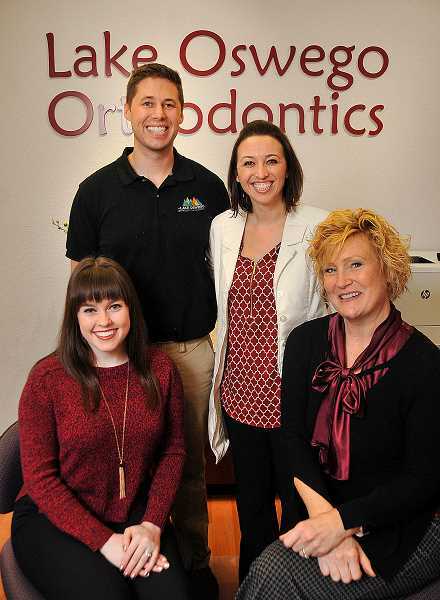 She serves on several committees in the Oregon Dental Association and the Pacific Coast Society of Orthodontics. Andrew Peterson is a periodontist, specializing in implants, gum grafts, frenectomies, wisdom teeth removal, extractions and IV sedation. He grew up in Billings, Montana, and earned his undergraduate degree from Carrol College and his dental degree from Oregon Health & Science University. He practiced as a general dentist for four years before completing his periodontal residency at OHSU. Because of his general dentistry background he is experienced in working with general dentists and performing surgeries with a restorative perspective. To accommodate patients and their young son, the doctors work alternate days. Vanessa sees patients on Mondays, Thursdays and alternate Fridays, while Andrew sees patients Tuesdays, Wednesdays and alternate Fridays. "Since I see patients every four to six weeks and we have extended hours, the flexibility works just fine," said Vanessa. Besides being accommodating to the patients, the couple is dedicated to becoming a valued member of the community. They donate a portion of patients' fees to a different local charity each month. In December the business donated $700 to Girls on the Run, a nonprofit with a mission to inspire girls to be joyful, healthy and confident using a fun, experience-based curriculum which creatively integrates running. January's charity of choice is the Oregon Humane Society, a nonprofit animal shelter serving the needs of pets. Patients are also encouraged to get involved with their own volunteer efforts, and for every 10 hours a patient spends volunteering they receive a discount on their fees. The doctors encourage patients to get involved and discovery how satisfying volunteering can be. "They don't have to volunteer for the month's charity," said Vanessa. "We want them to get involved with whatever they are passionate about." and make an impact that is great." And it seems the doctors are living out what they hope to inspire patients to do: get involved in the community and improve their health and wellbeing. When they are not working the couple enjoys trail running, biking and hiking. Both have completed Ironman triathlons, run marathons (including the Boston Marathon) and have ridden their bikes all over the West Coast. To learn more about Lake Oswego Orthodontics and Periodontics visit lakeoswegoorthoperio.com or call the office at 503-699-6569.